The Swiss Garden at Old Warden is thought to have been originally designed in the ‘Swiss Picturesque’ style by Lord Ongley c1814. John Shuttleworth bought the property in 1872, and engaged Edward Milner to remodel the gardens. 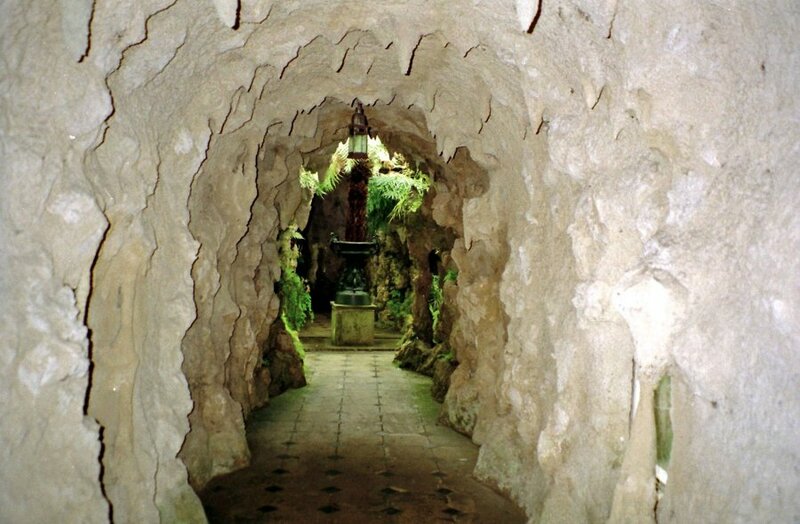 James Pulham and Son were engaged to construct a number of the new features, including a magnificent sunken, glass-domed fern grotto, with Pulhamite-lined entrance passages. They also remodeled the artificial lake, and added a Pulhamite-lined boat house, and built the walkway through to the adjoining property, with a bridge over. The gardens are now open to the public, and under the care of Bedfordshire County Council, who recently undertook a major restoration programme with some assistance from the Heritage Lottery Fund. A full description of the work done by James Pulham and Son at The Swiss Garden – together with a number of pictures – can be found in Chapter 10 of Rock Landscapes: The Pulham Legacy – the critically-acclaimed and lavishly illustrated definitive story of the lives and work of James Pulham and Son. Written by Claude Hitching, with featured photography by Jenny Lilly. Published by Garden Art Press. Posted on August 24, 2014 June 26, 2016 by Claude HitchingPosted in Book ContentsTagged . . James Pulham and Son, artificial lake, boat house, bridge, Claude Hitching, fernery, John Shuttleworth, Lord Ongley, Rock Landscapes: The Pulham Legacy, Swiss Garden - Old Warden.